The Distinguished Lecture Series features speakers who have had a major impact in politics, the arts, science, or other realms of contemporary significance. 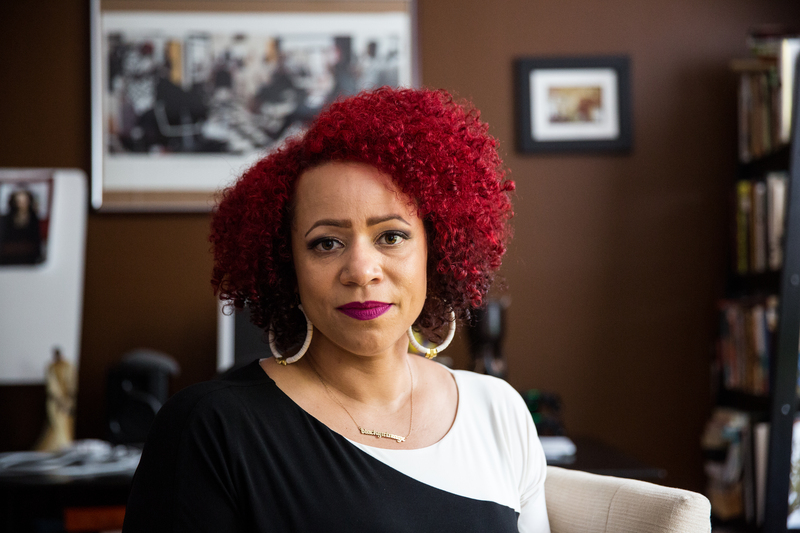 Nikole Hannah-Jones covers racial injustice for The New York Times Magazine, and has spent years chronicling the way official policy has created, and maintains, racial segregation in housing and schools. Her deeply personal reports on the black experience in America offer a compelling case for greater equity. She has written extensively on the history of racism, school resegregation, and the disarray of hundreds of desegregation orders, as well as the decades-long failure of the federal government to enforce the landmark 1968 Fair Housing Act, and is currently writing a book on school segregation called The Problem We All Live With. Hannah-Jones co-founded the Ida B. Wells Society for Investigative Reporting with the goal of increasing the number of reporters and editors of color. She holds a Master of Arts in Mass Communication from the University of North Carolina and earned her BA in History and African-American studies from the University of Notre Dame. Along with The New York Times, her reporting has been featured in ProPublica, The Atlantic Magazine, Huffington Post, Essence Magazine, The Week Magazine, Grist, Politico Magazine, and on Face the Nation, This American Life, NPR, The Tom Joyner Morning Show, MSNBC, C-SPAN, Democracy Now, and radio stations across the country. She is a recipient of numerous awards including a MacArthur Fellows Award, the National Magazine Award, the Hillman Prize for Magazine Journalism, and a Peabody and George Polk Award for radio reporting for her This American Life story. Learn more about Hannah-Jones. The Boise State Distinguished Lecture Series was created to promote the discussion of important issues. The Distinguished Lecture Series brings eminent speakers to Boise State University from the realm of politics, academics, and humanitarian activism to promote the discussion of important issues and to enrich our campus and community. The lectures are free of charge. The Distinguished Lecture Series is presented by the Honors College and President’s Office at Boise State University.